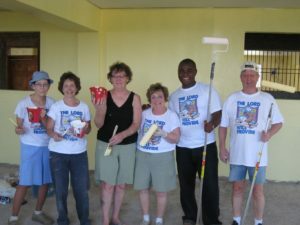 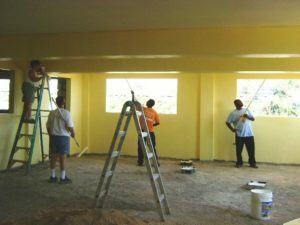 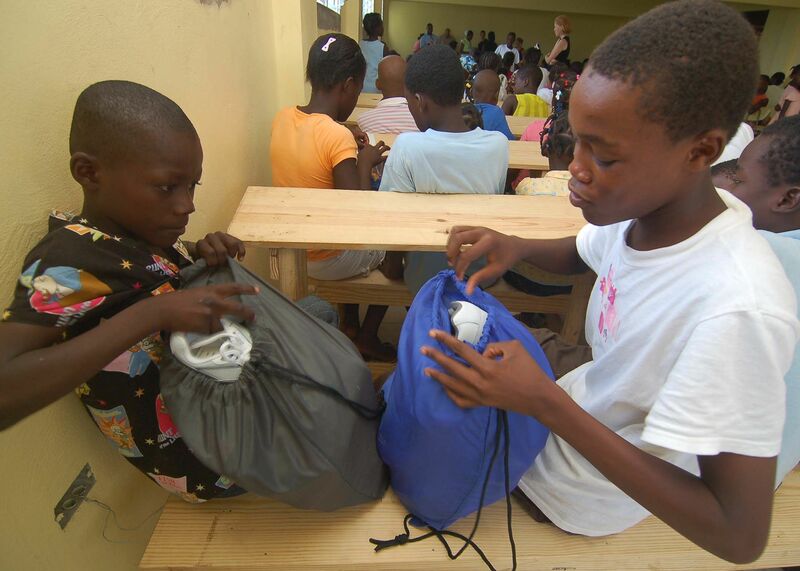 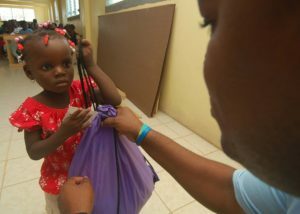 In February 2009, the Cabrini Mission Team headed for Haiti with duffels bags packed with many items, but this time there were paint rollers and pans, brushes, extension poles, paint rags and paint clothes. One of our jobs would be to paint a newly-constructed classroom, 25’ x 66’ in size. 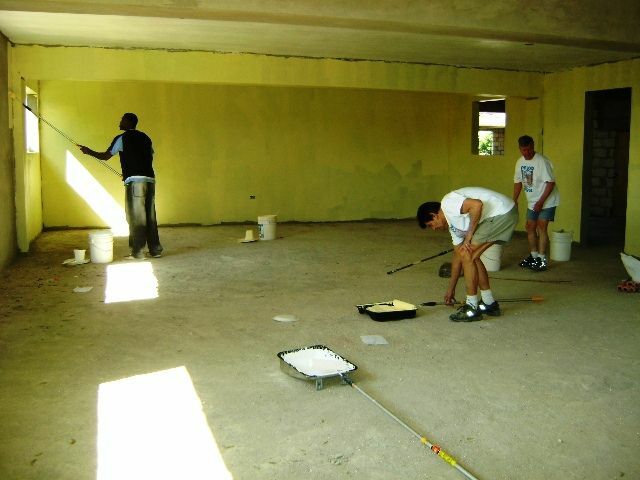 The walls were concrete and required 5 coats of paint. 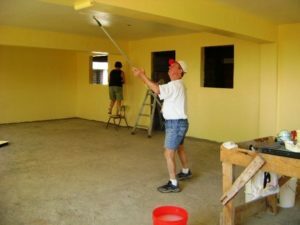 Thanks to donations from Cabrini Haiti Outreach Ministry, 75 gallons of paint costing $1500 was purchased in Port-au-Prince and transported to Jacmel. 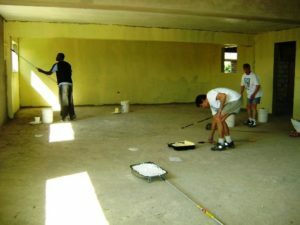 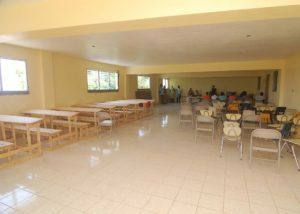 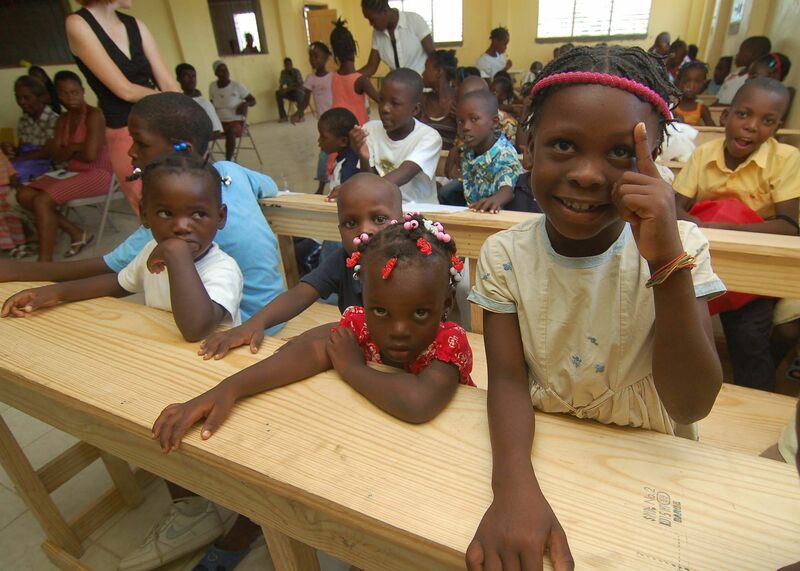 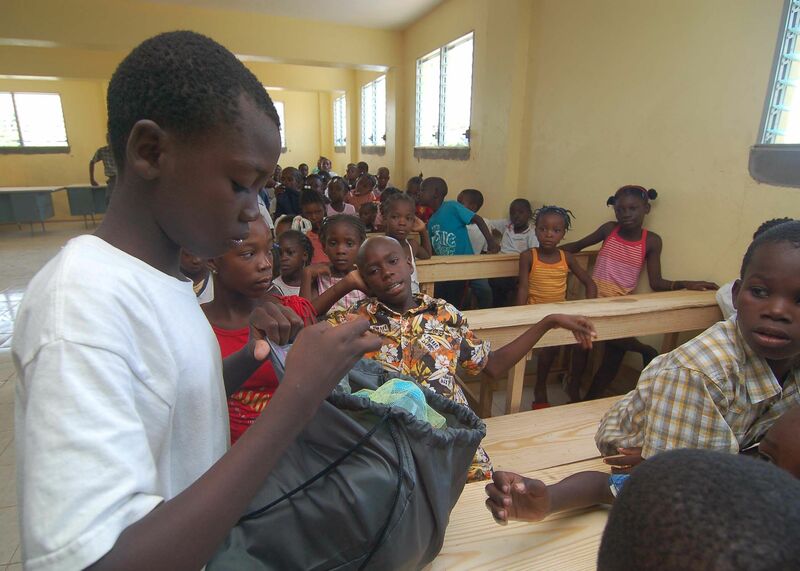 When the Cabrini Team left Jacmel, the painting was finished, but the classrooms not. There was pea gravel on the floors, no windows, and no electricity wired. 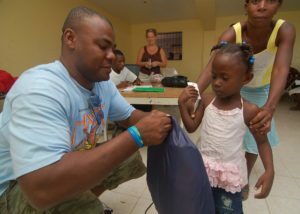 On September 4, 2009, the children returned to school to pick up their school supplies. 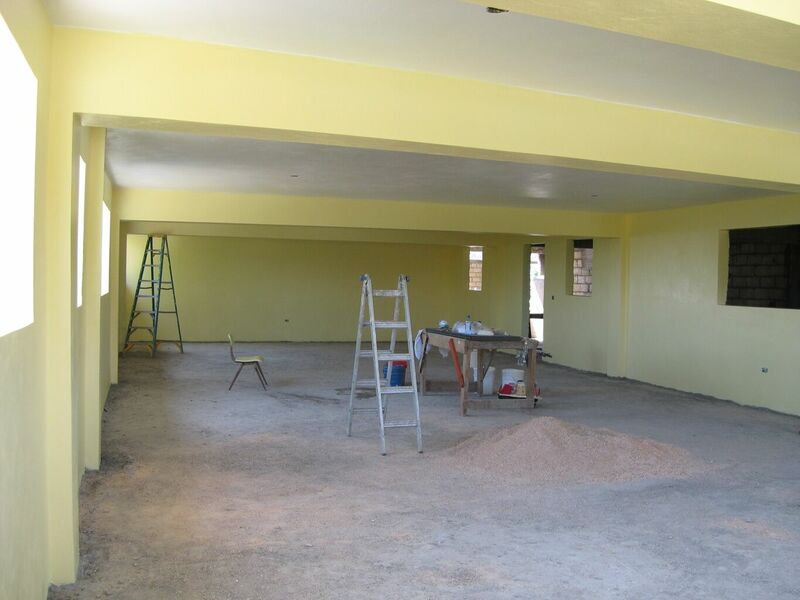 They entered a room that had bright yellow walls, a tiled floor, and windows. They no longer had to use several old tables to write on, but now could sit at new benches with a large writing surface. 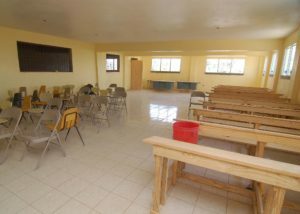 The students of Lekol Sen Trinite now had a second finished classroom (the Montessori Kindergarten room had been finished last year).